My friend went on to explain to me the concept of pungnyu. The expression that incorporates the words pung (wind) and yu (flowing) refers to the enjoyment of tasteful activities that combine the elements of nature, life, and art. It also symbolizes being close to nature, knowing music, being well learned in arts, and being composed yet merry, free from worldly cares. 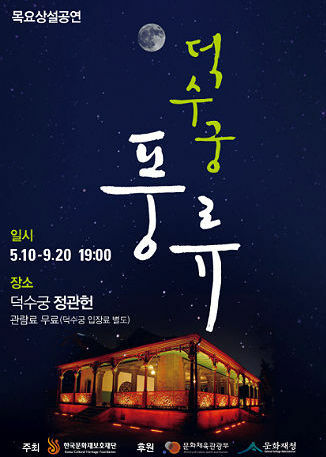 The current series of performances at Deoksugung Palace give visitors a chance to experience pungnyu. Since the installment of the series back in May, I've attended a few of the performances which are held at Deoksugung Palace's Jeonggwanheon Hall, the former resting and entertainment area of Emperor Gojong of the Joseon Dynasty. The hall has been renovated within the past couple years and is the perfect place to soak up traditional culture. Seating in the hall is limited and available on a first come, first seated basis, but there are benches just outside the hall where spectators can watch the artists perform on TV screens. Jeonggwanheon was once the resting and entertainment hall for the former king. Performances in the series include folk songs, pansori, and an array of traditional Korean instruments and dancing. 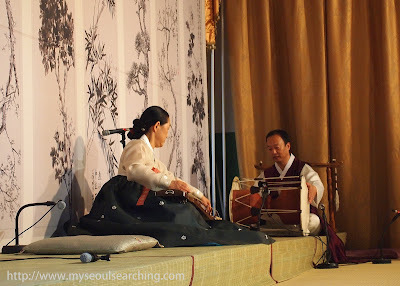 Of the performances I've watched, I most enjoyed a fan dance performed by a male (totally normal in the dynastic days of Korea) and the gayageum numbers, which always have an emotional air to them. 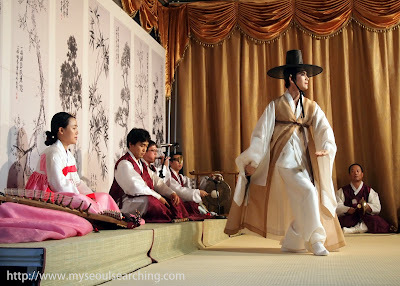 Performers dress in hanbok, traditional Korean clothing, making spectators feel as if they've stepped back in time. A woman plays the gayageum, a traditional Korean instrument that sounds tragic and moving at the same time. After the performances, it's recommended that visitors check out the palace. 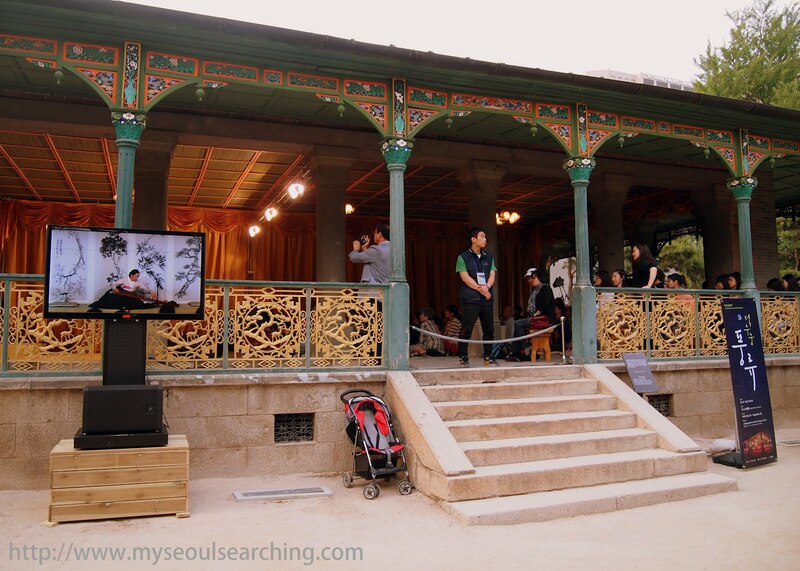 It's the only palace in Seoul that's open to the public after dark and it's small enough to cover in less than an hour. It is impressive to see the royal architecture, ancient looking trees, and carp-inhabited pond illuminated in the evening, especially after a dose of cultural Korean music. It's certain that spectators like myself leave the event feeling high on pungnyu, free from the mundane affairs of life, if only for an evening. 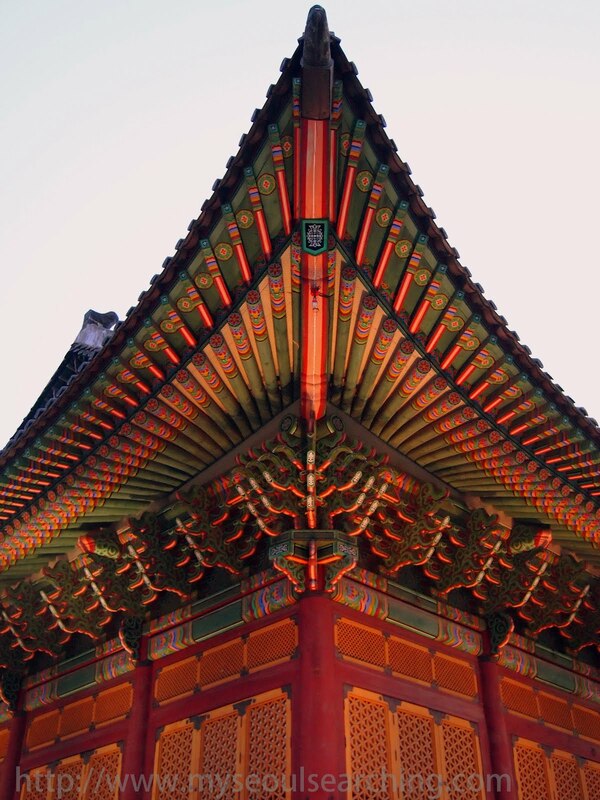 The royal halls at Deoksugung Palace are even more impressive as the sun begins to set. ***UPDATE 5/3/2013*** For the year 2013, performances will be held on Thursdays at 7:30 PM from May 2nd until September 26th. Click here for more info on the 2013 program. To get there: Get off at City Hall subway station (Line 2, Exit 2).